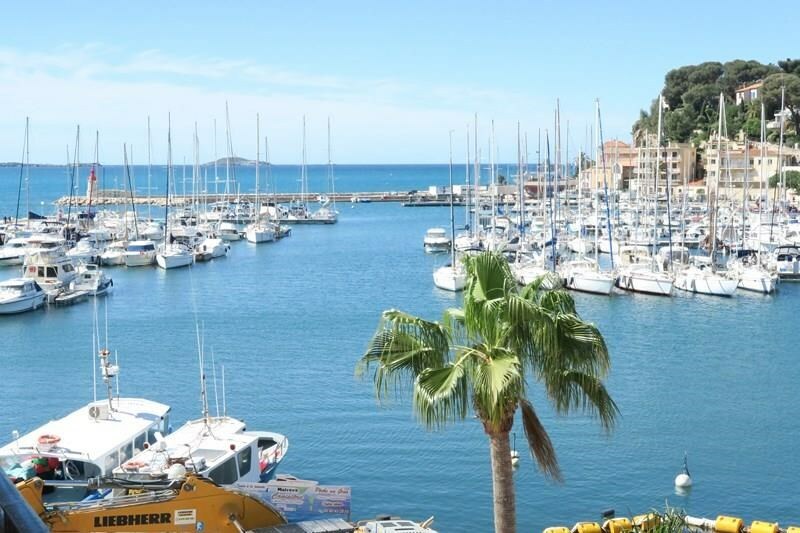 Superb location for this renovated type 2 apartment with terrace (3rd floor / 4) and stunning views of the port of Sanary and its famous sharp points. Located quai Charles de Gaulle, air-conditioned T2 d about 35 m2 with beautiful terrace of 9 m2. Composed of a stay with equipped kitchen, a room, a room d water (shower with the Italian) and an independent toilet. Attention: rare to rent !! Internet available. Town center, port, markets, trade, beaches: you will do everything on foot !! To you the holidays !! PROMOTIONAL OFFER LAST MINUTE TO BE GRABBED: IN JUNE AND SEPTEMBER (AVERAGE SEASON): 2 WEEKS OF RENT AT 840 EUROS !! Splendid location, very central, with stunning views over the port of Sanary sur Mer. Parking on private property located 250 m.